On the weekend I was, as usual, to be found at the local Farmers’ Market. It’s not the biggest in Germany, but it’s certainly one of the best I’ve ever been to. Everything in season is available in abundance, and a good bit of produce out of season in addition, although I tend to avoid the latter whenever possible. Most of the stands are run in a semi-sophisticated yet rustic fashion by farming families. Recently, however, an elderly farmer with not the cleanest hands in the world but clearly a lonely, hard-working widower (or so I’ve imagined his tragic story on his behalf) has been there with his back-of-the-truck stall. He doesn’t sell much – some home-picked flowers, a few kilos of muddy potatoes, a handful of herbs. 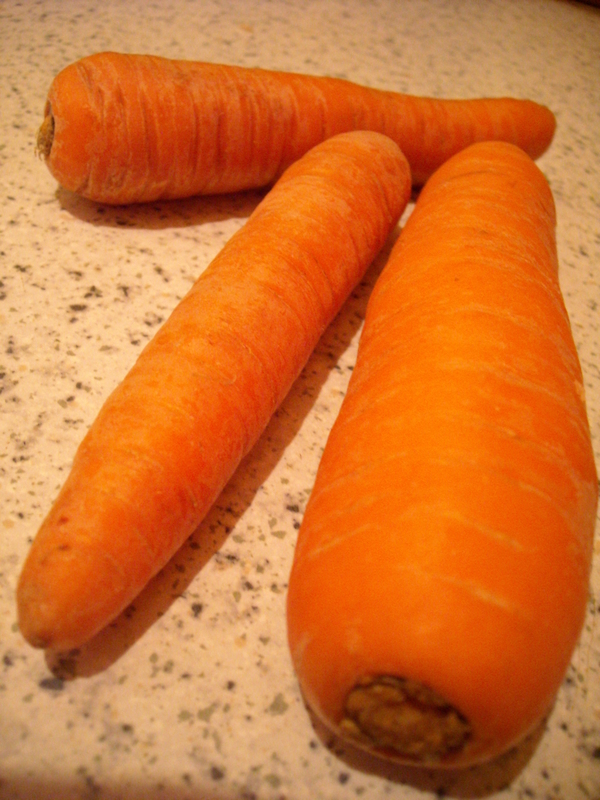 Upon spotting a small pile of ruddy, wholesome-looking carrots (clearly uprooted only that morning), I decided to buy a kilo from him. He deftly packed them up and sent me on my way with a lop-sided grin. Throughout the week I’ve pulled a couple of carrots here and there out of the bag to use them for dinner. With only three left, and a craving for some sort of soup on this slushy, sleety day, I turned to Household Management to see what I could do with them. 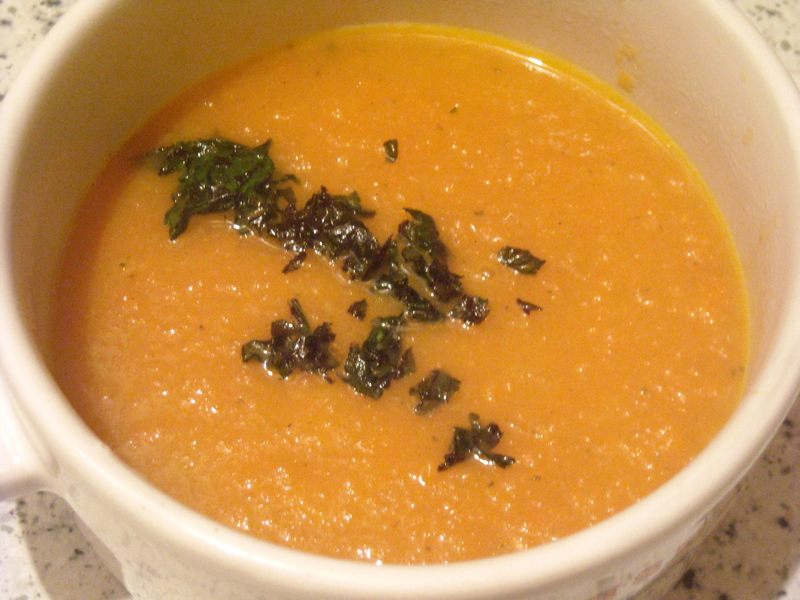 Carrot Soup (Version 2): INGREDIENTS – 2 lbs. 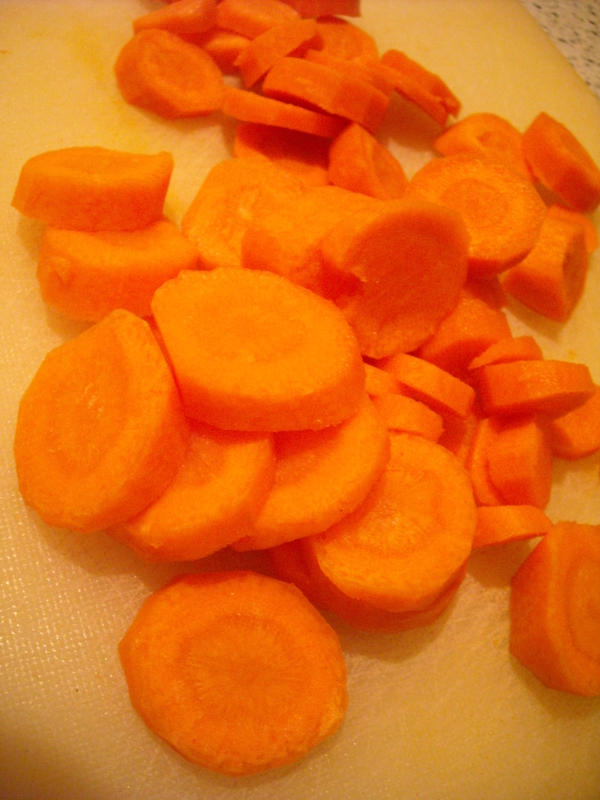 of carrots, 3 oz. of butter, seasoning to taste of salt and cayenne, 2 quarts of stock or gravy soup. As I only had 3 carrots, I divided the ingredients by 5. This also enabled me to cut down the preparation time by about 30 minutes, which pleased my rumbling stomach greatly. (Anyway, she says it takes 1 1/4 hours, yet in the instructions it says nearly 2 hours. So I went for the lower figure). To garnish it, I figured that Mrs Beeton’s Fried Parsley would be a healthier (?) substitute for bread, which we’ve eaten quite a bit of recently. INGREDIENTS – Parsley, hot lard or clarified dripping. Although I would have quite liked to try the parsley whole, I very well know that my boyfriend wouldn’t touch it if he had any indication of what it was before he tried it. I used a nice flat-leaf variety, meaning that it didn’t raise immediate suspicions when he saw it garnishing the soup. However, when it came to the point, I just couldn’t do it. Mine was the only soup that was scattered with parsley. “What is this, potato?” he asked when I passed him his bowl. I on the other hand am clearly not as sophisticated with my descriptions. This soup is quite good – very hearty with a pleasant savoury sweetness. Try it! 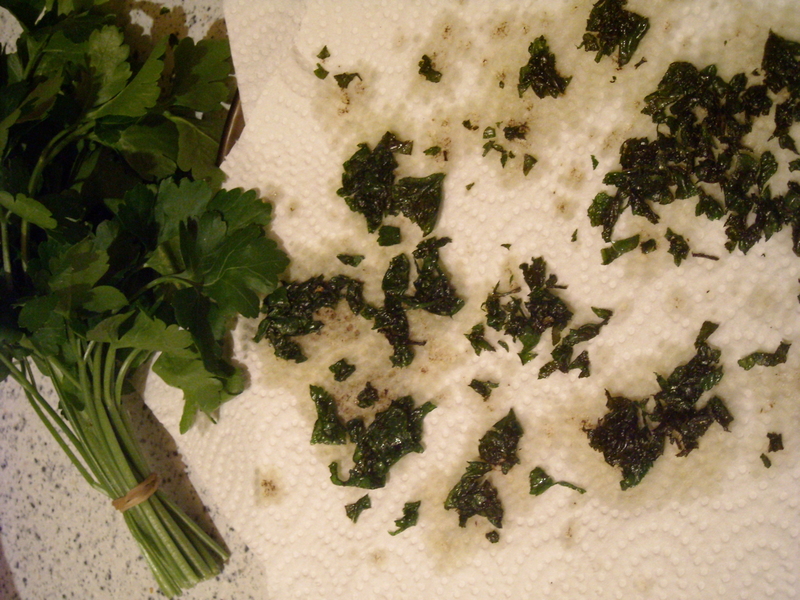 PS Be careful when frying the parsley – when it starts to go slightly dark green, take it off the stove, otherwise it’ll turn black and get too crispily burned to enjoy it properly. This entry was posted on February 20, 2010 at 10:15 pm and is filed under food. You can follow any responses to this entry through the RSS 2.0 feed. You can leave a response, or trackback from your own site.